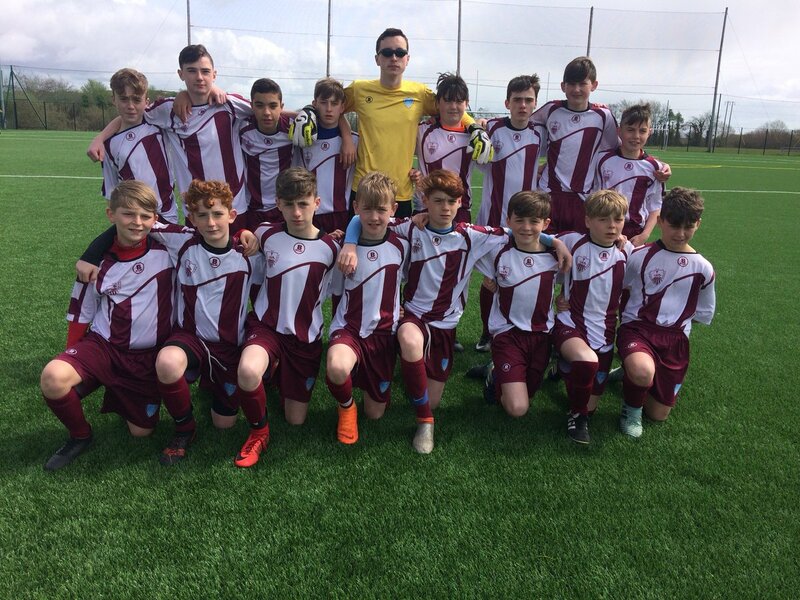 A wicked Aaron Mullen set piece right at the stroke of full time saw Coola Post Primary School shatter the hearts of Newport’s St. Mary’s Secondary School in a dramatic encounter in Ennis on Thursday last (April 26). 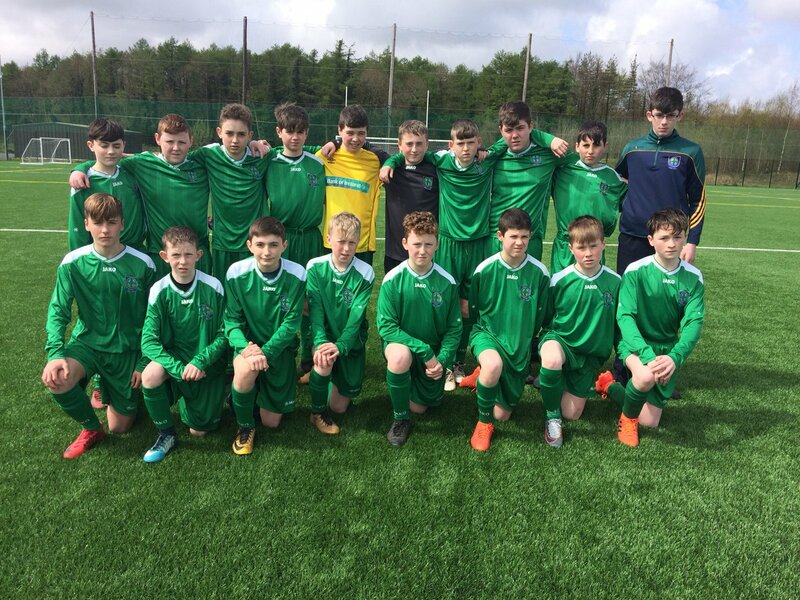 The Coola defence showed extraordinary resolve throughout the sixty minutes of football to keep the St. Mary’s onslaught at bay. Goalkeeper Fionn Healy saved brilliantly from a Thomas Hickey glancing header with 25 minutes played. Newport Captain Gavin Mellerick combined well with Hickey in the box for the latter to see his effort sail over the crossbar. Scoreless at the break despite St. Mary’s best efforts. Healy produced another dramatic double save from Paul Maloney’s skilful antics eight minutes into the restart. Midway through the second period, it was Newport on the attack again this time with Nathan O’Shea feeding Stephen Madden but again Healy diverted the danger. Coola couldn’t get the ball outside their own half for much of the second period with Newport awarded corner after corner but the Sligo scholars remained calm and did enough to see their clean sheet remain. The only promising attack for the Connacht Champions was with the last kick of the game as Kevin McCarthy’s men were awarded a free kick from 20 yards out. Newport’s netminder Stephen McCormack obviously saw the ball too late in a congested box, ensuring that it crept into the bottom corner for a vital Mullen match winner! Absolute jubilation for Coola but utter heartache for St. Mary’s SS. 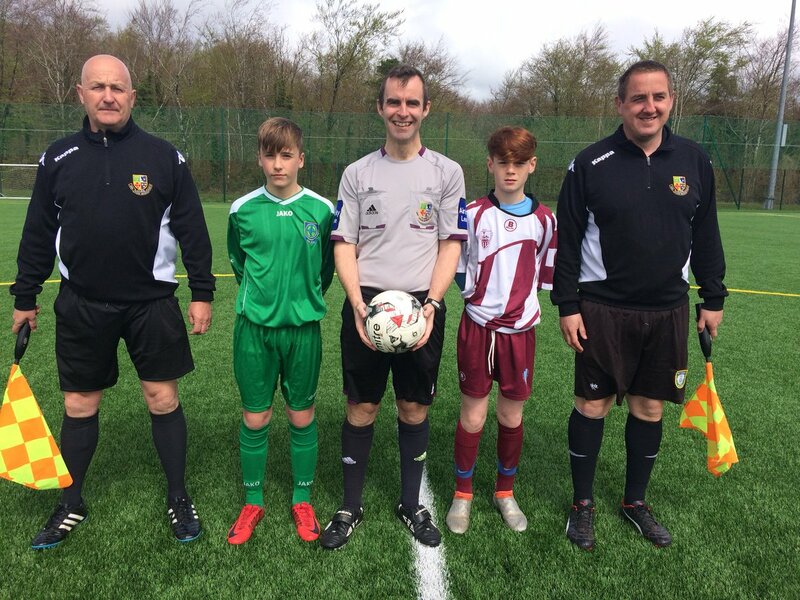 McCarthy’s charges are now in their second National Cup Final having lost out to PCC Falcarragh in the Minor ‘B’ Boys Cup decider earlier in the month. They’ll be hoping for greater things in the next showcase which sees them up against defending Champions Dublin Oak Academy, Bray who are attempting a three in-a-row this season. The Cup Final is down for decision on Thursday, May 10 at 1pm in the AUL Complex, Clonshaugh.